Chef Prize derives its name from, yes, one of the prizes that will be awarded to the restaurants participating in Chef Prize 2016. The CHEF PRIZE will be the most prestigious of the six awards that will be presented at approximately 3:30pm on Sunday, September 11th. 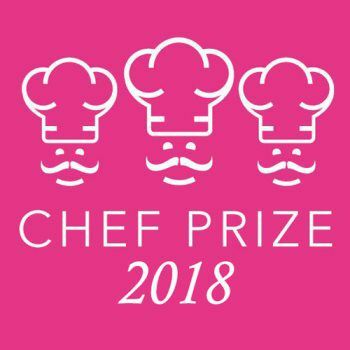 o The CHEF PRIZE – this prize will be judged by our local panel of experts that will include Frederick Boyer, Martial Noguier, and local celebrities connected with the culinary arts in West Michigan. The judges will sample and judge the food prior to the event’s noon start time, but the results will be kept secret until 3:30pm. The winner will come from the Upscale Dining category and the dishes will be judged on Taste, Presentation, and Originality. o The PEOPLE’S CHOICE AWARD – Each participant will be allowed to show their support for their favorite restaurant, bakery, or adult beverage provider. Near the end of the day, votes will be counted and the restaurant, bakery, or adult beverage provider will be presented with the PEOPLE’S CHOICE AWARD. o Four Category Award Winners – Four categories (Upscale Dining, Casual Dining, Bakery/Desserts, and Adult Beverages) will each present a winner for the participant with the most votes in their category. Each award will allow the winner to be recognized on this website, on the West Michigan Spartans website, and… perhaps most importantly… to have bragging rights over their peers in West Michigan.